It already went live by streaming Valve's 'Dota 2' esports tournament. Valve seems to have unveiled a Twitch competitor with nary a peep of fanfare. 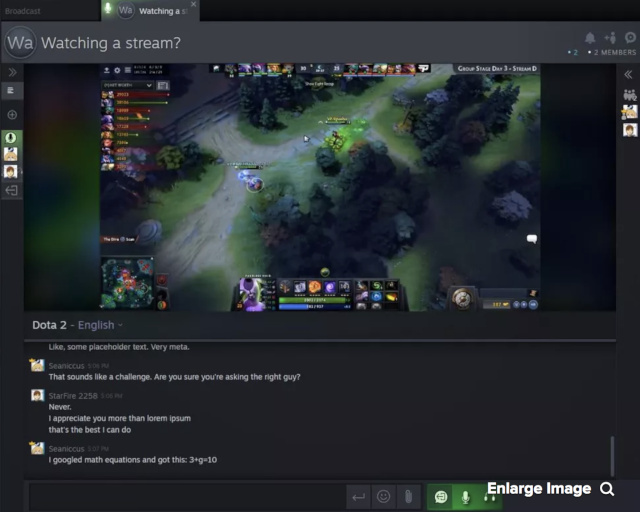 A few hours after Steam Database founder Pavel Djundik discovered that the company registered the domain steam.tv, the website started live streaming The International 2018, Valve's Dota 2 esports tournament. The stream is no longer available, but CNET was able to try it out before it went offline. Based on what the publication saw, its features are still quite limited: it was able to stream the tournament, but it had no option to broadcast your own gameplay. While you don't need to log into your Steam account to watch, you'll be able to access your Steam Chat friends list and group chats if you do -- you'll even be able to invite friends to watch with you. CNET has also discovered that it has built-in voice chat you can use in-browser. Considering the website is now offline, Valve was probably just testing it out. We'll likely see more features in the future after the company officially launches it. We've reached out to Valve to ask what it plans to do with the domain and the platform, and we'll let you know when we hear back.